Oil Rubbed Bronze 1 Light 7in. 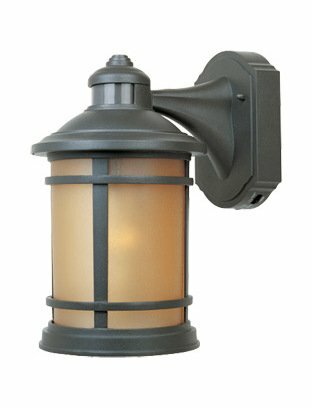 Cast Aluminum Wall Lantern with Motion Detector | Fountain City Art Ctr. This One Light Wall Lantern is part of the Sedona Collection and has a Mediterranean Patina Finish and Sunlit Copper Glass. Lenght: 9.75in, Width: 7.00in, Height: 12.00in.